Flagstaff, AZ – In 2013, the concept of Ruff’s Precision Gunworks (RPG) was born. 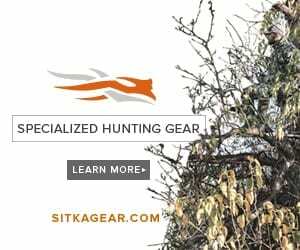 Ruff’s Sporting Goods, in downtown Flagstaff, AZ—yes, the one that used to sell liquor and guns under one roof—started to sell National Firearms Act (NFA) items, specifically silencers. While outsourcing some gun and barrel work, Ruff’s staff realized that they needed more precision, accuracy, and expediency in their work to meet their customers needs. So, owner, Eric Soderblom, bought a lathe, and he and manager, Evan Ksenzulak, began spinning barrels for threads and muzzle brakes. As time progressed, Evan began shooting competitively in Precision Rifle Series events. To be competitive, he understood the need for an accurate rifle. Mentored by a local gunsmith, Ksenzulak built his first rifle based on an FN Patrol Bolt Rifle (PBR) in a Manners Stock, and chambered in 6.5×47 Lapua. The rifle was well-built, shot unbelievably, and customers started to take notice. After numerous factory based rifle builds, RPG pursued alternative quality measures by approaching Defiance Machine to build custom actions marked RPG. A year later, the first actions found their way to the machine shop, the range, and the field. Now, RPG is a custom machine shop with a passion for long range precision, creating custom rifles that outperform expectations. Whether you are simply looking for a long-range target rifle based on a Remington 700, a completely custom tactical rifle capable of touching targets at a mile, or an ultra-light, custom-hunting rifle, contact to the guys at RPG and get on target. Action: RPG private label action, manufactured by Defiance Machine.